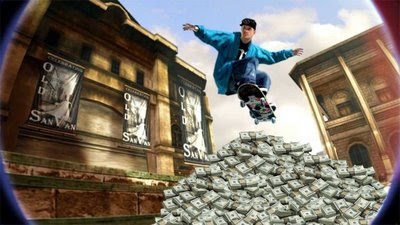 I was just reading a popular game blog known as Joystiq, and I came across this image, in regards to Fantasy Factory being released as downloadable content for Skate 2. It made me laugh. But yeah, send some money Rob's way and download this thing.